I know I probably say this too often, but I just love this idea! I will go out of my way to sit at a fun table like that! I'm sending you a private email to answer your question and to ask you something else, BTW. 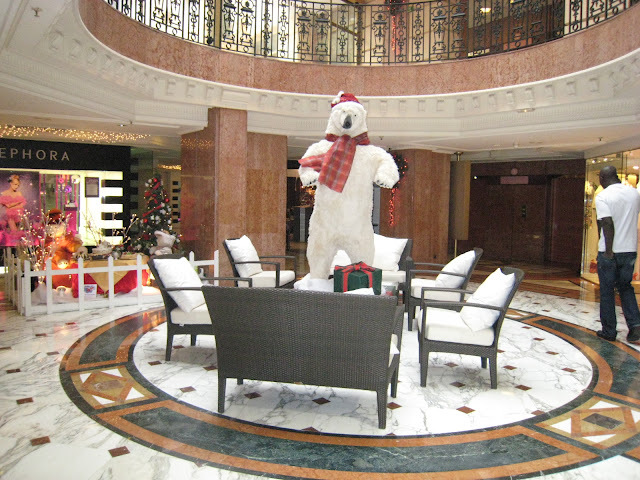 . .
What a super polar bear decoration. It looks almost the size of a real bear! And twice as festive! I hope that's a cashmere scarf he's wearing...This is Monte Carlo, after all!